Is your landscape growing wildly out of control? Do you wish to have a clean, healthy-looking garden, with a pristine lawn and perfectly cut hedges, but can’t handle the amount of work? It is time to call the gardening professionals in Gardening Angel! With our years of experience and our passion for helping the people of Laverton, we are the gardeners you can trust! To speak to one of our team members today, contact us on 0467 001 100, or fill in our online form and we will get back to you as soon as possible. Cutting lawns should be easy; but with the number of weeds that grow, the different types of grass, the potential for droughts and the struggles to get the right cut, plenty of people are left with a bad-looking lawn. Thankfully, we can help you with our specialised lawn mowing service. Our aim is to trim your garden to the specifications you want so that it grows healthier and looks great in every way. With an extensive range of mowers in our collection, we will be able to deliver on all your requests and ensure the perfect results for you. For the highest-quality lawn mowing service in Laverton, book your appointment with us today. Sometimes just a regular cleaning job isn’t enough to get your garden looking magnificent. It isn’t going to make the difference, or if it does, you’re going to have to it all over again within a matter of weeks. That is why you are going to need our high-pressure cleaning service. Our focus is to remove the “un-removable” and ensure that your garden is looking as clean as ever. We have a large selection of cleaning products, eco-friendly chemicals, and advanced tools in our collection, so we make your Laverton home spotless in no time. So no matter the condition of your home, our gardening team can deliver the high-pressure cleaning with the perfect results. 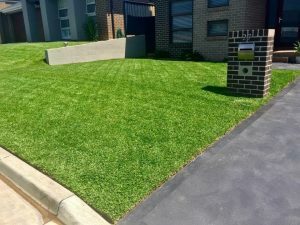 At Gardening Angels we strive to provide a quick and efficient service all over Melbourne, we also do landscaping services in Derrimut, get in touch today!